If you are struggling for ideas on fun things to do at Christmas then why not have an Ugly Sweater Party. Great for family, friends, work or office party. Simple and highly enjoyable, an ugly sweater party is a fantastic way to get people laughing right from the start of the evening. It's also a good way to get people excited before the party has even started. Guests love thinking of what to wear and trying to outdo other party guests by having the most ugly fashionably challenged Christmas sweater. 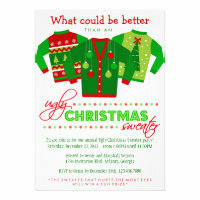 These "Ugly Sweater" Christmas Party Invitations are full of bright festive colours of green and red with stylish typography designs and Christmassy details. You can't move for reindeer, snowflakes, Christmas trees and snowmen. 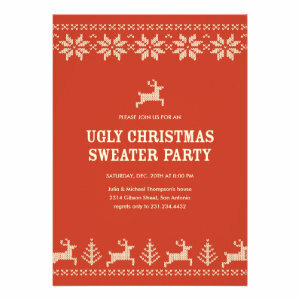 All of the "Ugly Sweater" Christmas Party Invitations can be personalized quickly and easily. You can change the text style, font, colour and layout. 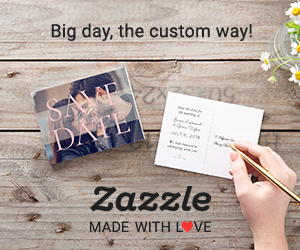 Choose different paper types, thicknesses and finishes to get the invitation which best suits you party. 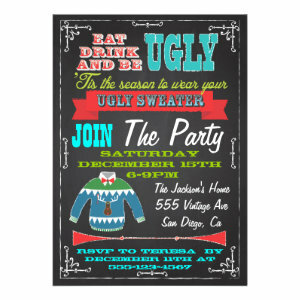 So if you're stuck for ideas or want to have fun Christmas party idea for people of all ages and tastes then an ugly sweater party is a great idea and what better way to get the party started than by sending an "Ugly Sweater" Christmas Party Invitation.